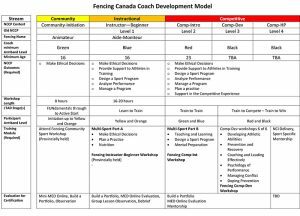 Fencing New Brunswick coach education program adhere to the standard of the Canadian fencing association and the National coaching certification program (NCCP). 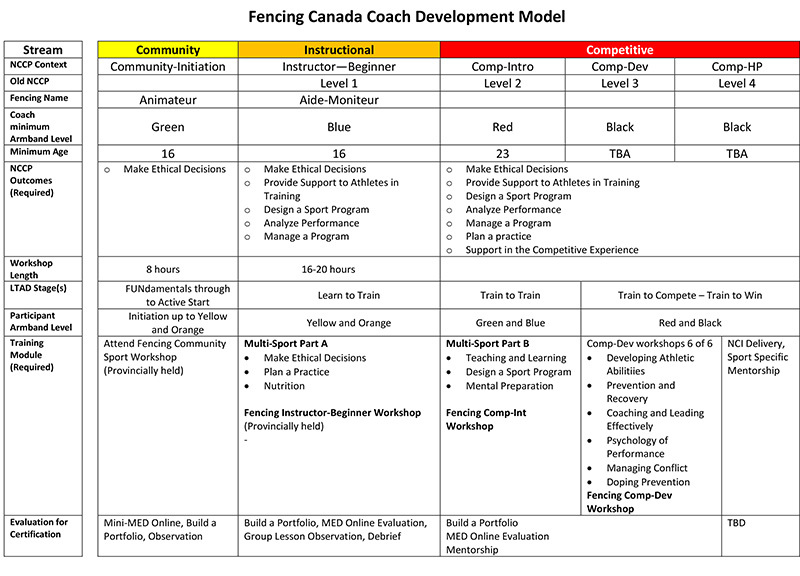 FENB mandates that any individual coaching in fencing member club must be a trained or certified coach under the NCCP. What is the NCCP ? The National Coaching Certification Program (NCCP), launched in 1974 and delivered in partnership with the government of Canada, provincial/territorial governments, and national/provincial/territorial sport organizations, gives coaches the confidence to succeed. Contact FENB by email to fencingnb@gmail.com we will help you find the right pathway for you to develop as a fencing coach. Use these tools to search and navigate the FENB site.